I am currently doing Jamie Eason’s Livefit Trainer (which you can find here). Jamie has many delicious recipes, especially for protein bars. 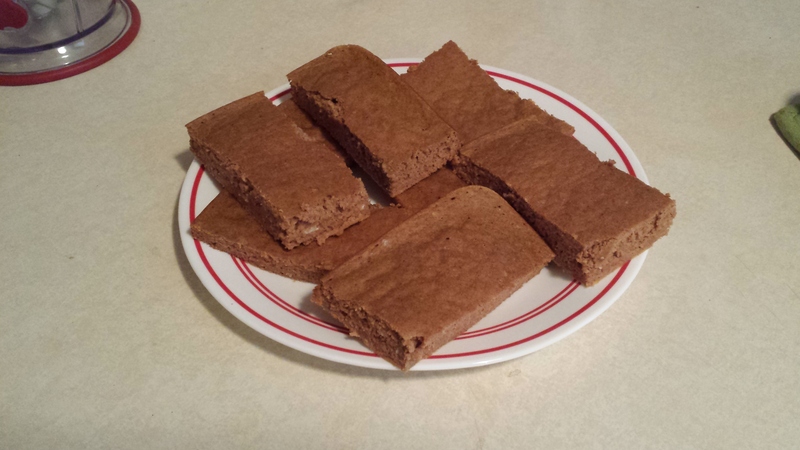 Today I had some extra time this morning, so I decided to whip up some carrot cake protein bars! 2. Combine oat flour, vanilla whey protein, cinnamon, baking soda and salt together in a bowl. 3. In another bowl, mix together egg whites, stevia, baby food carrots and water. 4. Mix liquid ingredients into dry ingredients. 5. Spray 8×8 non-stick pan with cooking spray. Pour in batter, and cook 20 minutes. My house currently smells A – M – A – Z – I – N – G!!! I cut the bars into 8ths, so one serving = 2 bars. Enjoy!